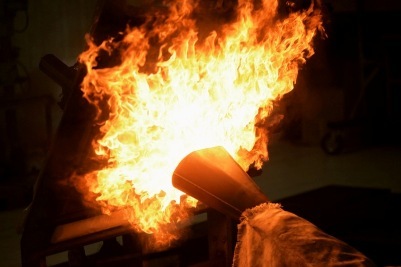 Our fire shields are composed of a high performance insulating material and a flexible covering. The flexible covering allows ease of assembly, low susceptibility to shocks, and low non-recurring costs. The high performance insulating material prevents the protected system’s failure due to overheat, either in operation or in a fire event. These shields are designed to meet the severe engine environment: vibrations, fluids, temperature, and fire. Fire proofness is a key for flight safety to preserve passengers lives. All our solutions are certified in our Fire Tech Center. Out of all the partners of OEMs, Hutchinson is one of the few to be able to offer this integrated service for its customers. Resistant to a fire event: 1100°C-15 minutes. Strong fluid proof coated fabric (proprietary). Build to spec for each specific aircraft system.